Recent storms off the North Carolina coast have churned up what appear to be prehistoric shark teeth from the ocean floor. TOPSAIL BEACH, N.C. -- Recent storms off the North Carolina coast have churned up what appear to be prehistoric shark teeth from the ocean floor. Several large fossilized teeth were found along Topsail Beach. 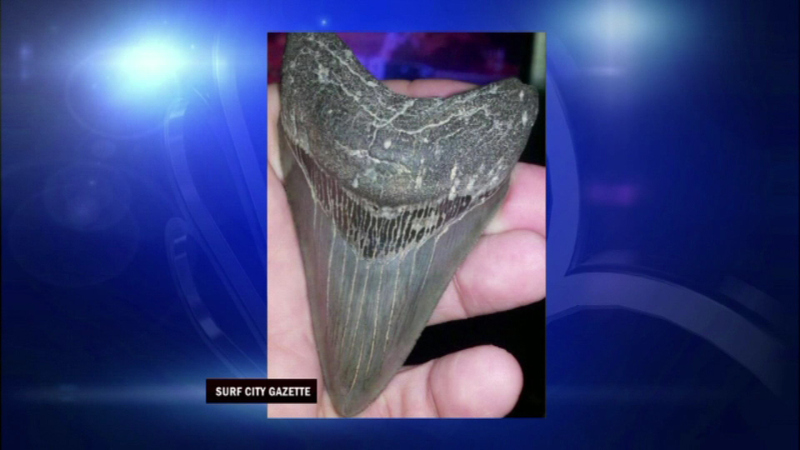 Scientists at a North Carolina museum say the size of the teeth mean they are probably the remains of the so-called Megalodon, a giant shark that lived in the Atlantic Ocean more than five million years ago.